Time was that the Brisbane River was lined with industry. 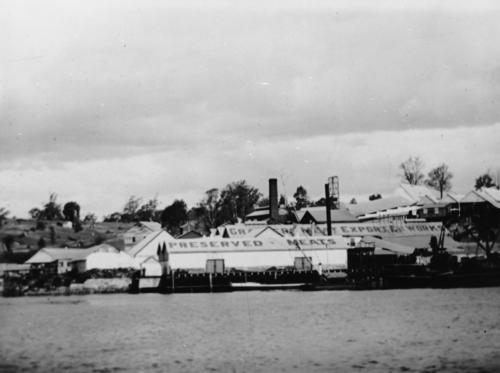 Boat-building, petrol refineries, meatworks and all manner of other businesses made the riverside home over decades. Access to water would be the main reason; whether for transport purposes or for use in their manufacturing process. Another reason, in the city's early days, was so that rubbish could be chucked into the river. 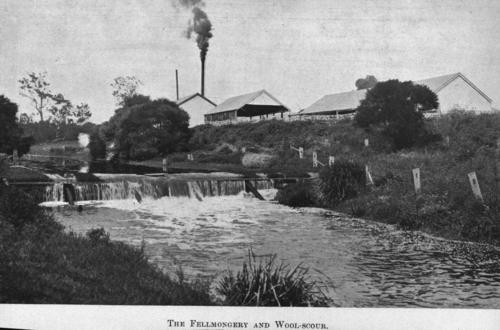 The photo above was taken in 1908 and shows a fellmongery and wool-scouring plant on the river at Murrarie. Around the same time, a meat works was operating in the area of Murrarie where the Gateway Bridge crosses the Brisbane River. 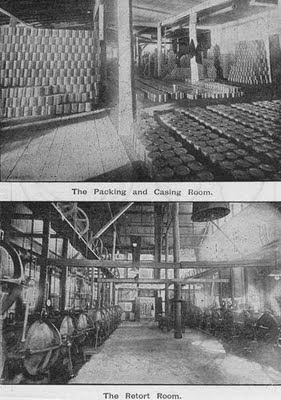 Some photographs of that enterprise from the 1890s are shown below. Recently, a beautification process was completed on the former site of the meat works. In conjunction with the upgrading of the motorway by erecting a second bridge, funds were provided to convert the area to a park. Here it is. Now a place of picnic tables and playgrounds, the Queensport Rocks Park is a welcome change from the former industrial site it once was.